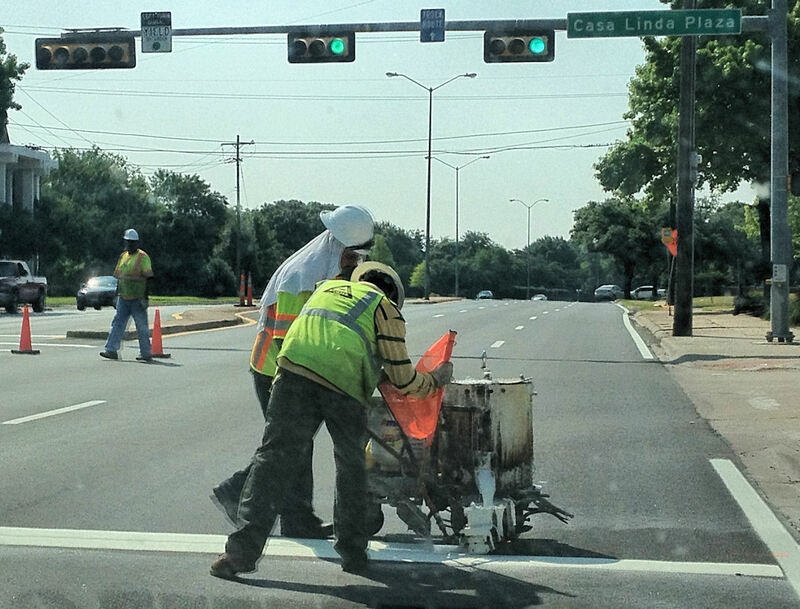 Is it really necessary to paint crosswalks during the middle of the day? Green light means GUN IT! If you watched Fox 4 news last night you may have seen the story about Ariana Luterman, the young triathlete that competes to raise money for Vogel Alcove. She was featured here in a post on May 1st, after the Spring/Fall Classic. I even saw my pictures I posted on the news last night. Below is the link to the story. Next week is National Police Week. Tuesday May 15th, the Terrell Police Department will hold a memorial service to honor the two officers who lost their lives while on duty with the TPD. A plaque will be presented to the Terrell Police Department by the Terrell Police Academy Alumni Association for each of the two officers to be permanently displayed at the station. The service begins at 10AM in the City Council Chambers and the public is encouraged to attend. Are you a golfer? Get a foursome together on June 11th and join the Terrell Athletic Booster Club at Twin Lakes Golf Course in Canton, TX for their golf tournament. Door prizes and hole-in-one prizes will be awarded along with other giveaways. You can still become a sponsor of a hole. Contact Cary Harwell-Tournament Director, or Coach Stooksberry-Event Coordinator for more info.